The holidays are flying by, it’s almost New Year’s Eve! Meanwhile, I am still trying to record 2018 in the books before it ends. 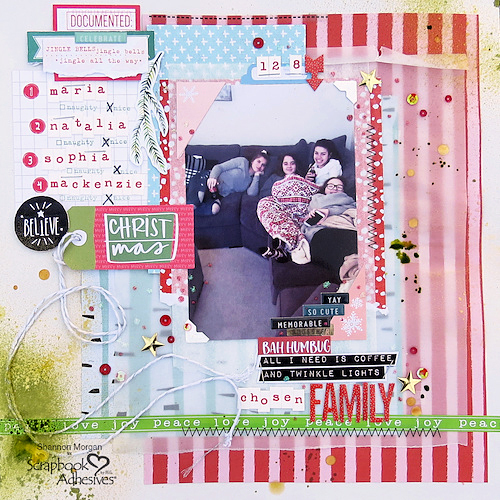 At least, I documented one event of family time in a scrapbook layout – catching family time was a priority especially in December. Everyone had a great night! 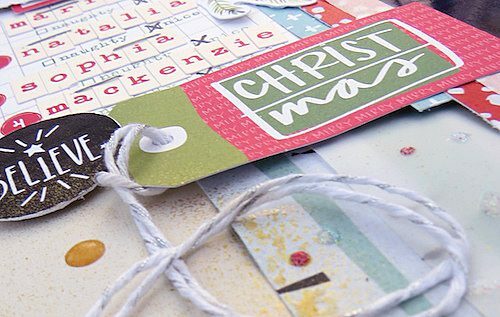 Look for colors that compliment your picture, I chose a mix of non-traditional Christmas colors with the standard of red, green, and white in my patterned papers and embellishments. 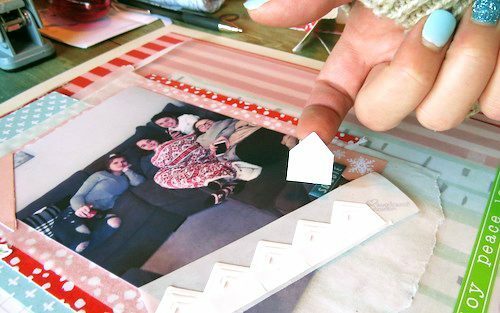 Focusing around that perfectly imperfect photo, I created layers for dimension and interest. Of course, my go-to adhesive to assemble for all this is the E-Z Runner® Grand Dispenser. It’s the tool I reach for on every single project. I love Creative Photo Corners! You just need two corners for this layout. The Creative Photo Corners White are perfect accents for the look I was going for. 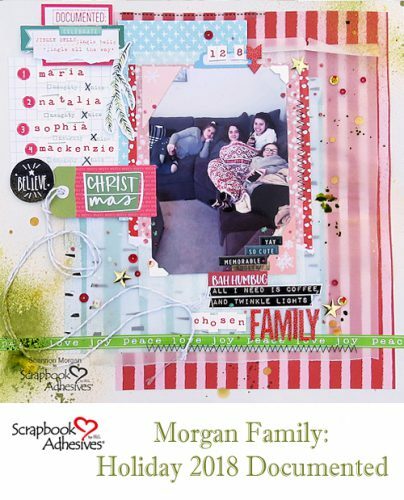 Did you know there are many different sizes of Adhesive Dots available from Scrapbook Adhesives by 3L®? 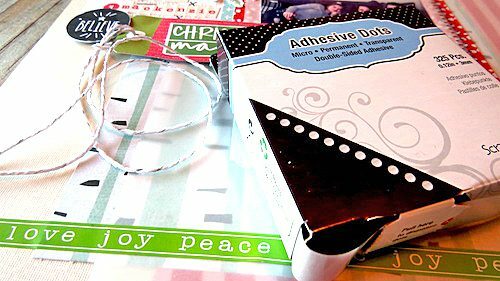 One of the best sizes in my honest opening is the Adhesive Dots Micro. It is so versatile! For this project, I used them for placing my twine and sequins. 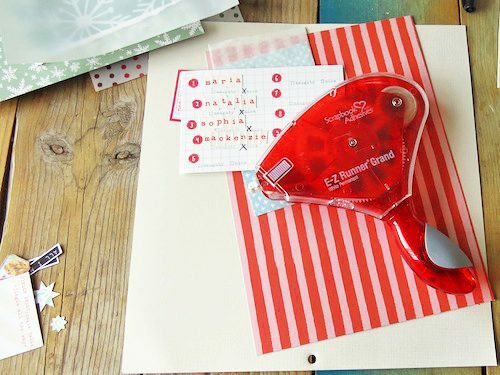 If you are looking for an easy way to create dimension, you need to look at 3D Foam Squares! There are many 3D Foam products to choose from Thin 3D Foam Squares to 3D Foam Circles to 3D Foam Shapes. There’s bound to be one that fits your project needs. This entry was posted in 3D Foam Shapes, 3D Foam Squares, Adhesive Dots & Lines, Adhesives, Beginner, Crafts & Tutorials, Creative Photo Corners, E-Z Runner® Dispensers, E-Z Runner® Grand, Permanent Adhesive, Scrapbook Page, Scrapbooking, Seasonal Craft Ideas, Skill Level, Winter and tagged 3D Foam Squares Mix Black, 3D Foam Squares Regular Black, Adhesive Dots Micro, Bella BLVD, Christmas, Cocoa Daisy, Creative Photo Corners Mix Pack, Creative Photo Corners White, E-Z Runner Grand Dispenser, E-Z Runner Grand Permanent Strips Refill, Elle's Studio, Family, Friendship, My Mind's Eye, October Afternoon, Scrapbook Page, Shannon Morgan, SRM Stickers, Winter. Bookmark the permalink.